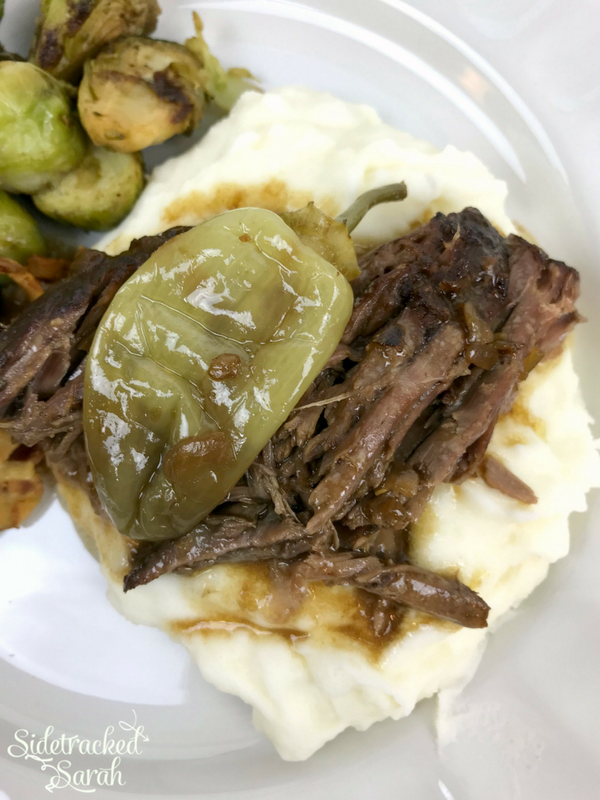 Slow Cooker Mississippi Roast Is Such a Delicious, Mouth-Watering Roast And Makes a Great Meal For Any Occasion! We love using slow cooker recipes for dinner each week, including some of my favorites, Slow Cooker Texas Pulled Pork Recipe and Slow Cooker Dorito Casserole. A good roast is really hard to beat. Unfortunately, they are usually super time consuming and don’t always come out perfect each time. 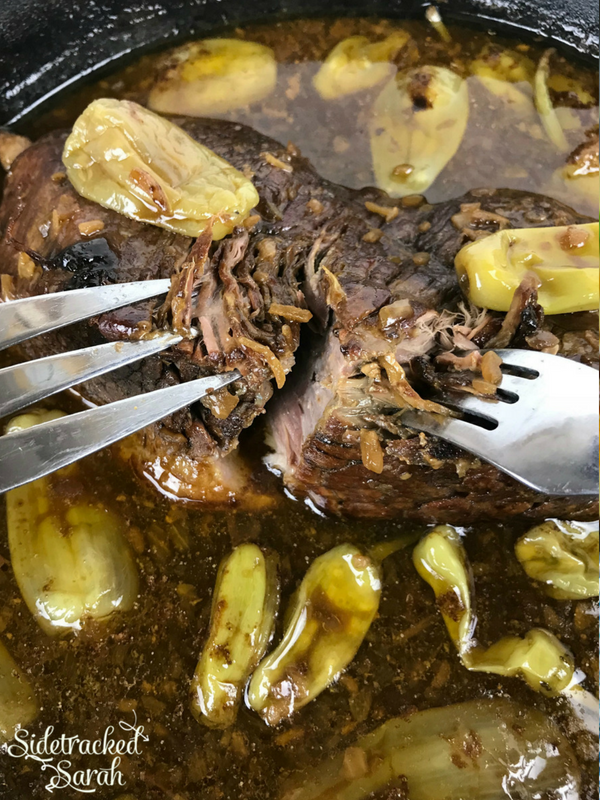 That’s why I was so excited to finally master a delicous slow cooker version that was sure to win over hearts every time it’s made! I love how this roast tastes with the added pepperocini peppers and you just can’t go wrong with a whole stick of butter!! Best of all, this is the perfect dump-and-go recipe! Sprinkle gravy packets over the roast. Pour pepperocini peppers over the top. It’s honestly that simple. For more precise instructions see the recipe at the end of the page. DO I HAVE TO ADD THE PEPPERS? Honestly, the peppers are what makes this roast a true Mississippi roast. But, if you absolutely can’t have them, you could leave them out. Just don’t forget to replace the lost liquid! You could even only use the liquid from the jar of peppers, to give you some of that taste, without having the peppers to chew on, when it’s time for dinner. 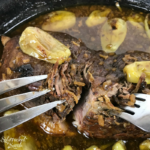 WHAT TO SERVE WITH SLOW COOKER MISSISSIPPI ROAST? 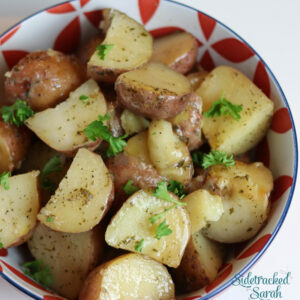 I love serving this roast with a side salad, some good veggies, mashed potatoes, rice, a squash casserole or just some rolls! DO I HAVE TO ADD ALL THAT BUTTER? If you try not to eat that much fat, you may not want to put in the whole stick. It’ll be fine to leave it out or to use a little less without altering the taste much. The butter just adds a richness that you’ll enjoy if you’re OK with butter. 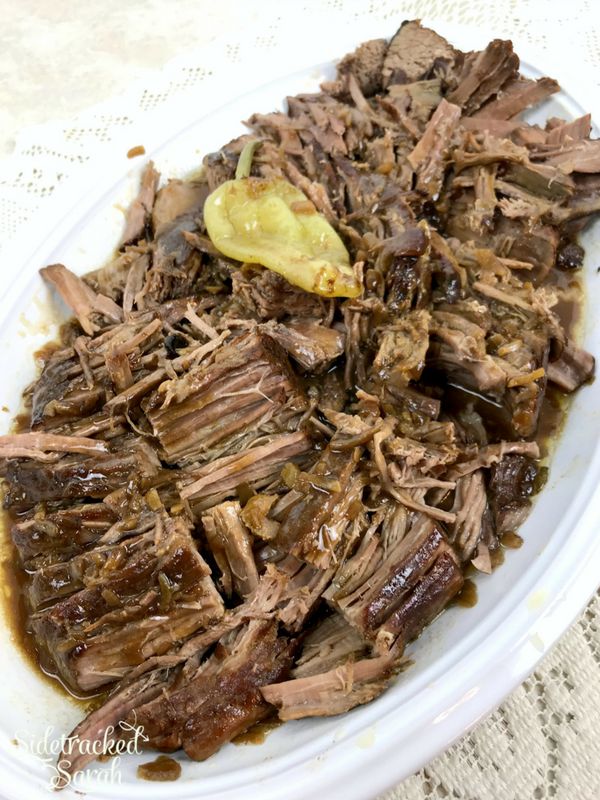 Slow Cooker Mississippi Roast Is A Delicious Roast And Makes a Great Meal For Any Occasion! 2. Salt all sides of the beef chuck roast. Carefully add to skillet and sear, allowing a deep crust to form. Brown on all sides. 3. If cooking in the slow cooker, place beef roast in crock. Otherwise, leave the beef roast in skillet and heat oven to 250 degrees. 4. Pour soup mix, gravy mix, and pepperoncini over beef roast. Place butter on top. Cover and cook. In the oven, the roast should cook for about 4 hours or until the roast is fork-tender. For cooking in the slow cooker, cook on low for 8 hours or until fork-tender. 5. Pull apart roast using two forks and serve. It’s been a fun week. 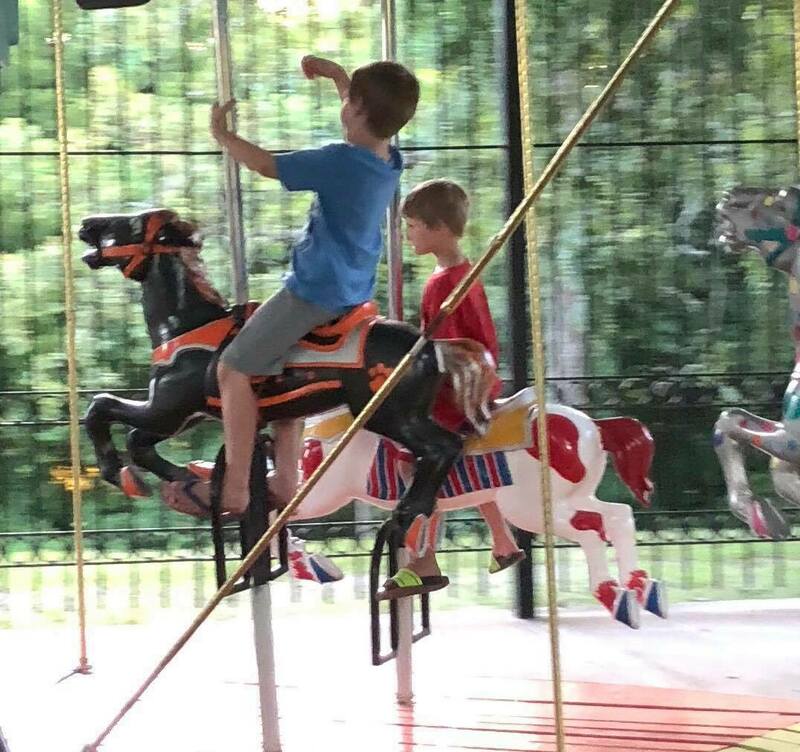 For my son’s 7th birthday this past week, we took him on the Merry-Go-Round at our park. This one is a bit of a blur, because it’s the fastest carousel you’ve probably ever ridden. But it’s fun and it’s great for pretending you’re going somewhere on a horse. I grew up riding these horses. This exact carousel has been here since before I was born 41+ years ago.